Alita: Battle Angel tells a seemingly unconventional “coming of age” story of a cyborg in a post-apocalyptic world. 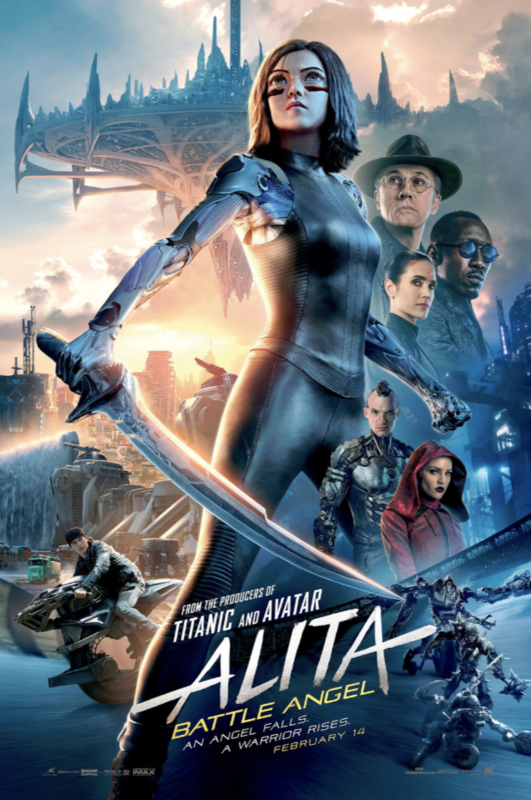 Produced by James Cameron and John Landau, Alita proves not to be just another Sci-Fi spectacle. Alita introduces us to a world of apparent “haves and have nots”. While not intended to make a political statement as suggested by producer John Landau, the film can be interpreted at will by the audience. The film focuses on elements of self discovery, family, love, loss, and relationships. All set in a post-apocalypse, this apparent run of the mill mixture proves to be quite effective and opens viewers to new and innovative ideas never before explored on screen. Audiences will experience an intricate story which plays with motives and morals, and as the plot thickens, puzzle pieces of information are revealed to Alita and the audience in order to help us understand her place in the world or to perhaps lead us to consider our own in reality. The visuals are pleasantly striking when depicting ruins of society, majestic cities floating in the sky, and even space battles on the moon. Landau and director Robert Rodriguez joined students of the University of Miami Florida for an advance screening at AMC Sunset Place 24. Landau claimed “the movie going experience isn’t going anywhere” when asked during a post Q&A session about the status of cinema in today’s ever evolving and innovative movie scene. He referred to a visit to the movie theater as the equivalent to attending a concert and encouraged the idea that there is something special and unique about the experience itself that keeps people coming. Robert Rodriguez proposed the idea that a good movie that’s three hours can feel like 90 minutes, and a 90 minute movie can feel like three hours. When asked about Titanic, Landau claimed the running time was “two hours and seventy four minutes” in order to not discourage potential viewers. Needless to say, time is indeed relative when it comes to experiencing film as an artform, especially if the film is done well. As a word of advice to aspiring filmmakers, or those with aspirations in general, Landau suggested to “work for yourselves...you have that power, you don’t have to seek it”. This piece of advice fits in with the theme of Alita nicely as Alita discovers the power inside herself in order to “not stand by in the presence of evil”. 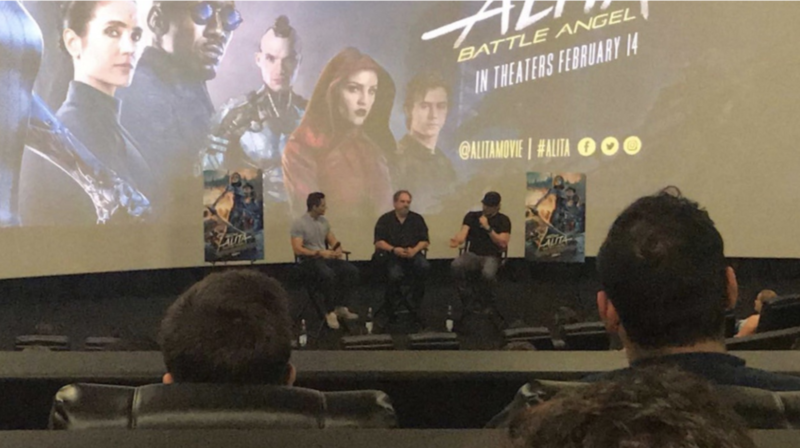 Alita: Battle Angel premieres February 14th to audiences in the United States. In the end, it’s up to them whether this “battle angel” gets to walk out of the box office unscathed.